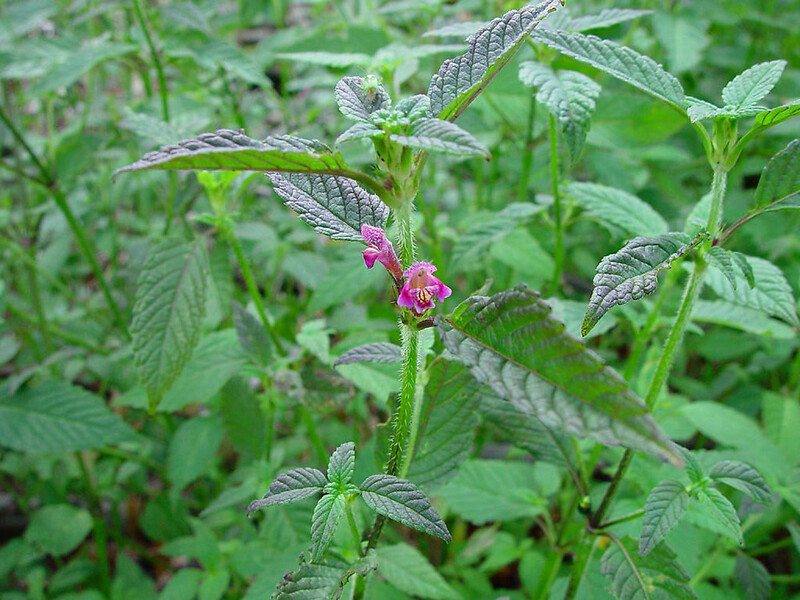 Red hemp-nettle is native to Europe and western Asia. 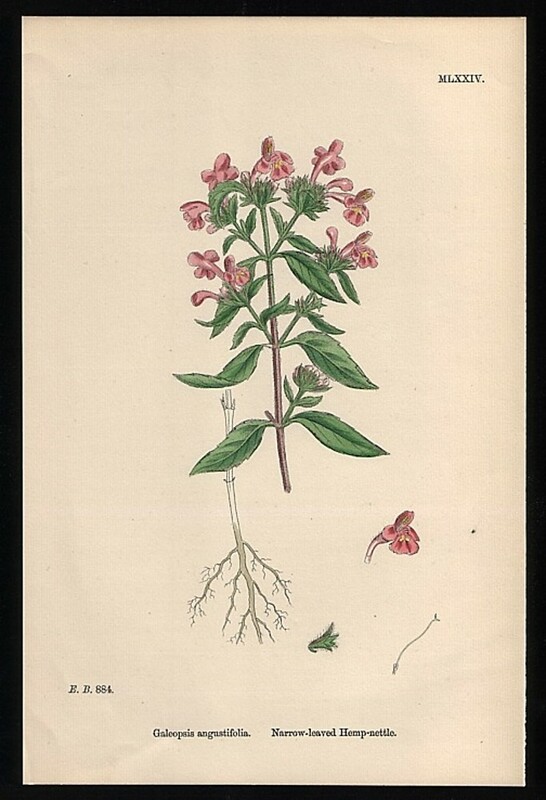 It may have been introduced via ships' ballast dump sites, and grows in sandy soils, mostly near the Atlantic coast. It also occurs in some inland sites. eglandular hairs of stem long, rigid, spreading to slightly recurved, and corolla mostly 13-15 mm long(vs. G. ladanum, with eglandular hairs of stem minute and recurved and corolla 15-28 mm long). Galeopsis ladanum L. var. 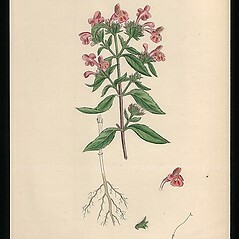 latifolia (Hoffman) Wallr. 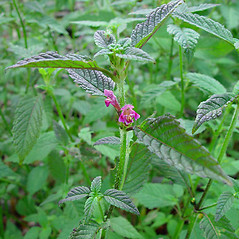 red hemp-nettle. Galeopsis ladanum L. var. latifolia (Hoffman) Wallr. • CT, MA, ME, RI, VT. Waste areas, ballast, sandy locations near the Atlantic coast. This species has usually a largely pink-red corolla 15–28 mm long.